Cell substrate scribing machine - SHIRAI TECH, LIMITED. 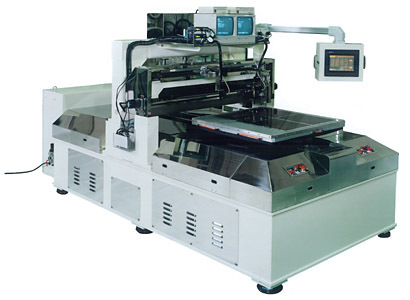 Shown in the figure is a small and middle-sized type TFT-LCD glass scribing and breaking machine. The customer can also choose between a scribing/breaking composite-type machine, or individual scribing and/or breaking, and/or other machines.